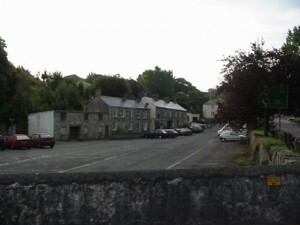 Located at the bottom of the town near adjacent to Castle Green. 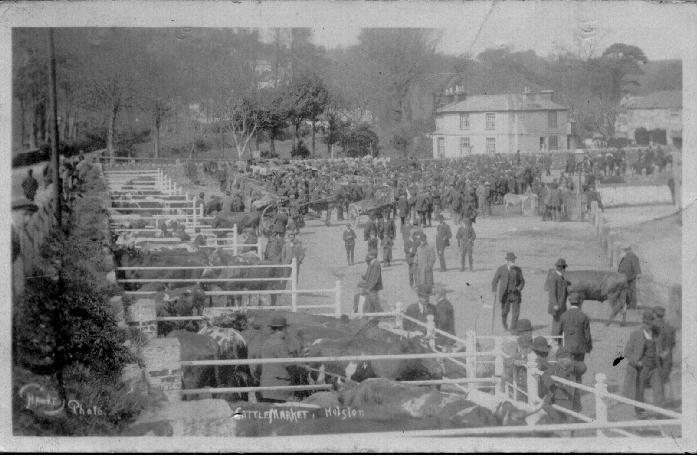 So much has changed over the last 80 years that the present Cattle Market bears little resemblance to that of the early 1920`s. 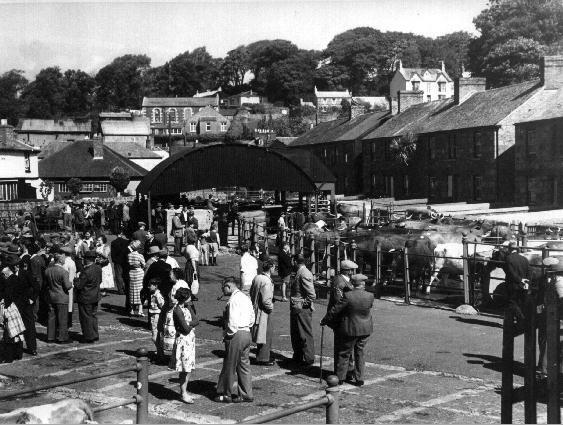 The Old Market at the foot of the Bowling Green Steps was at first composed of a few iron railed stalls, totally uncovered and fully open to the elements. 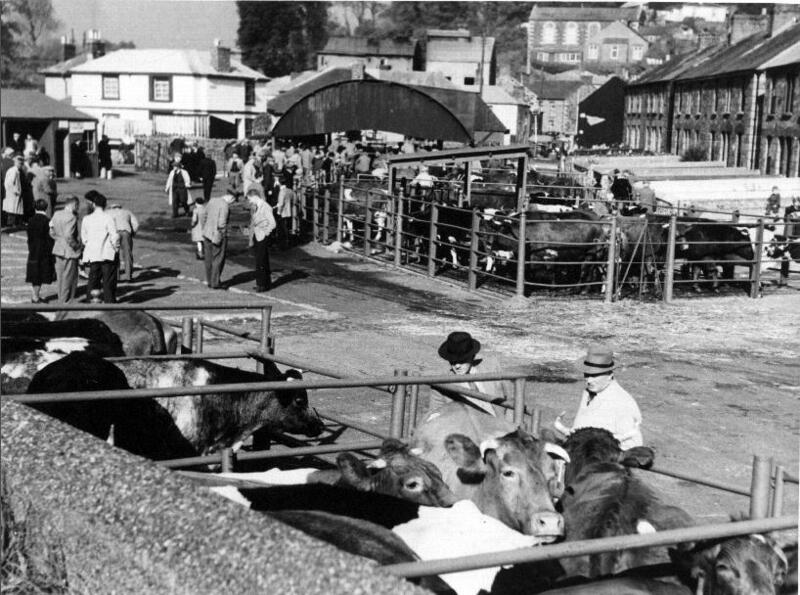 These railed enclosures were later roofed over with galvanised sheeting, then a row of covered pig pens occupied a space in about the centre. 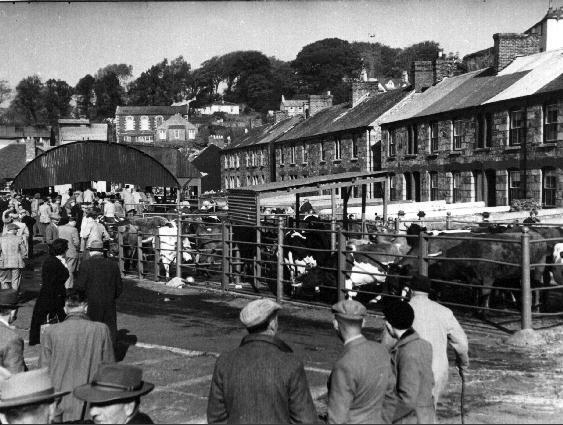 Later these were removed to a new and extended positions on the other side of the main road, formerly a part of what was then known as the `Lower Green`. 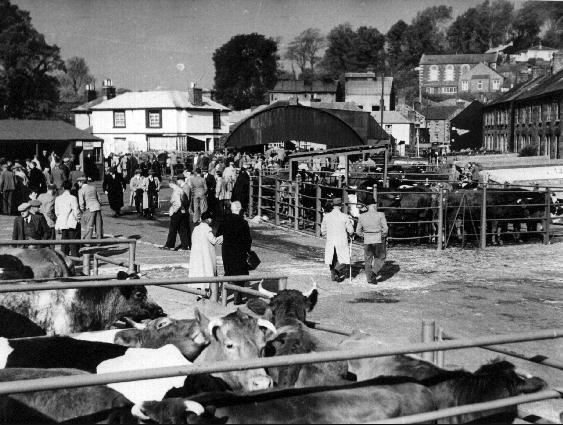 HELSTON OLD CATTLE MARKET probably sometime in the 1950’s.